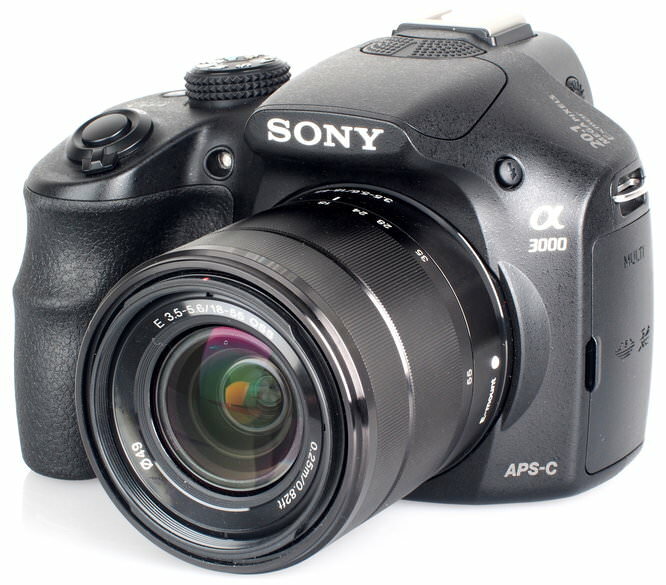 The SLR styled Sony Alpha 3000 is an entry level mirrorless camera that uses Sony NEX lenses and features a 20 megapixel APS-C sensor. The Sony Alpha 3000 is a mirrorless camera in the styling of a Digital SLR, with a 20.1 megapixel APS-C CMOS sensor, and Sony E-Mount, it is compatible with all Sony NEX lenses and features a 3inch screen and electronic viewfinder on the back. It is available for around £299 with kit lens, making it one of the cheapest mirrorless / DSLR style interchangeable lens cameras available. A mirrorless camera gives you the benefits of an interchangeable lens, and with this Sony model, a large APS-C CMOS sensor for Digital SLR like image quality, with Digital SLRs using an APS-C sensor or larger. 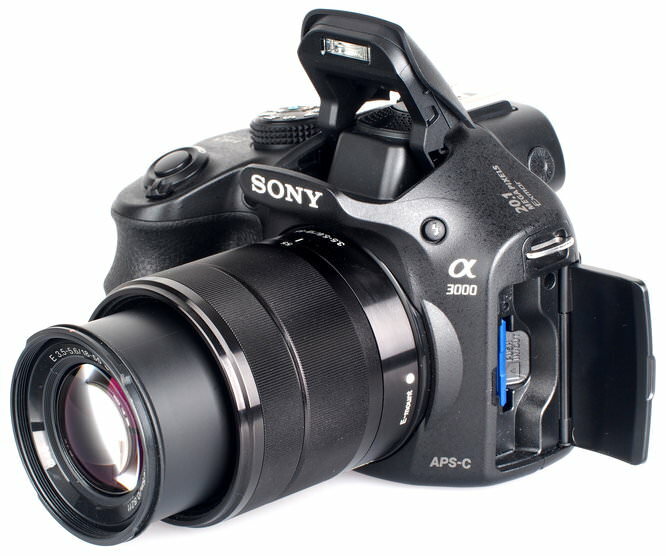 The Sony Alpha 3000 uses the Sony E-Mount, which is the same mount as Sony NEX mirrorless cameras, such as the Sony NEX-3N, NEX-5T, NEX-6 and NEX-7. This is the first Digital SLR styled mirrorless camera from Sony, and could be the beginning of others, as mirrorless cameras benefit from a simpler and more cost effective production, as well as more compact size, compared to more traditional Digital SLRs, as well as Sony's own DSLT cameras with translucent mirror technology. 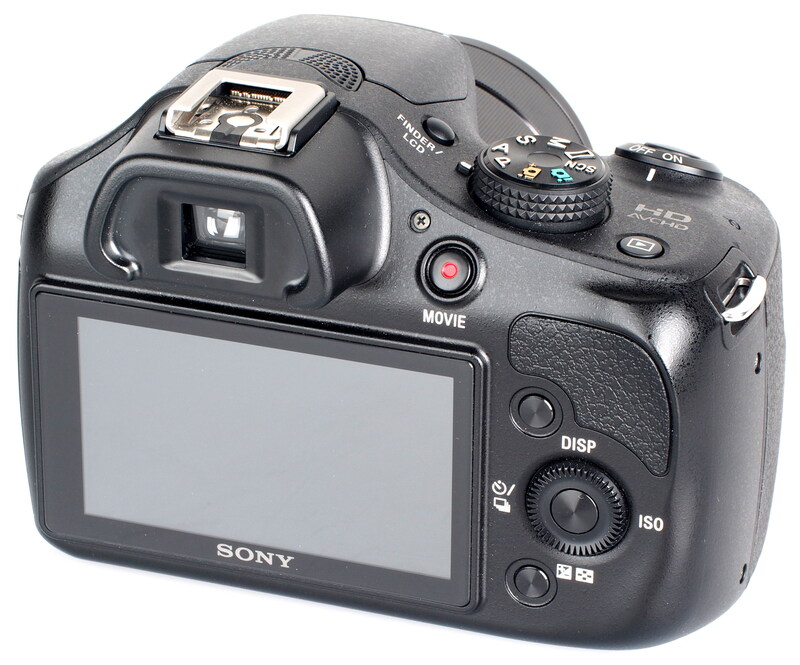 Sony says that there are those that aren't concerned whether a Digital SLR style camera is a true Digital SLR with optical viewfinder, and would be happy with an electronic viewfinder, but still want the look and feel of a Digital SLR with a large grip. In addition, in some markets, such as the USA, there can still be a reluctance to switch to a mirrorless camera, where bigger is believed to be better, and a Digital SLR style camera is the preferred choice. Handling - The camera feels as though it has been built to a price, with a plastic body, and plastic surround around the electronic viewfinder. However the large handgrip has a decent rubber texture to make holding the camera good, although the textured thumb grip on the rear is hard plastic. Despite the plastic construction it feels quite sturdy. The buttons are of a decent size making it easy to use once you have got used to where all the controls are. The camera has 25 focus points, and focus is quick at locking on to a subject, with face detection working well. 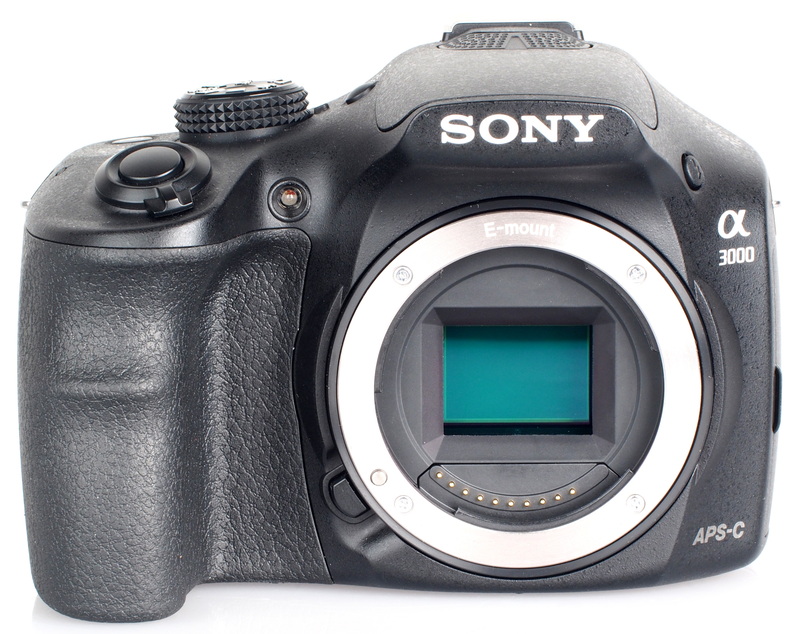 The camera is noticeably lighter than the Sony Alpha A58, but uses the same 20.1 megapixel APS-C CMOS sensor. The screen resolution is low and interlacing is used, giving the appearance of flickering, although colours are good and the menus are quite clear with pop-ups to help explain the options and settings. Once you have found your way around the menu options it's not too difficult to find the settings you want, and there are a number of advanced options not expected on such an entry level camera, including AF fine tuning, and focus peaking. The 100% EVF is switched to using the top EVF/LCD button, as eye-detection is not included. 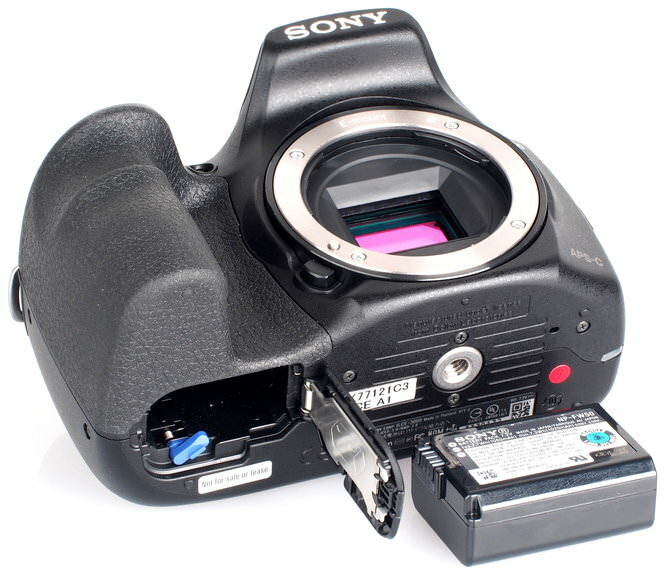 There is side access to the memory card slot and USB connection, and on top is the Sony multi-accessory port flash hot-shoe. The viewfinder is small and you have to position your eye right in the middle of it to look through, as any deviation from this causes the image view quality to deteriorate quickly. If you wear glasses you may also find it uncomfortable to use. Battery life - Battery life is rated at 470 shots according to Sony / CIPA test results, and the camera uses a Sony Info-Lithium battery so will tell you exactly how much battery life is left as a percentage, for example, 18%. Focus is quick, and shutter response is very quick, with the camera giving a quick shot to shot time. Continuous shooting (speed priority) is 4.1fps for 11 shots when shooting JPEG, or 4fps when shooting raw and JPEG. There is no option to shoot just raw images, which makes sense for a camera aimed at beginners. 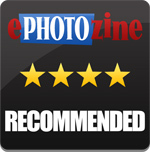 Sample Photos - The camera produces well exposed images with good levels of detail. Photos with flash show no red-eye and skin tones are good. Outdoors in good light the camera captures bright saturated photos, again with good detail. Lens Performance - There is quite noticeable barrel distortion at the wide-angle end of the lens, with very slight pincushion distortion at the telephoto end. Purple fringing and chromatic aberration is low, except in the far corners when there is strong contrast. Detail is good although when shooting wide-open images can become softer in the corners. The lens is quite resistant to flare, even when shooting with the sun in the frame. It's also possible to get a decent macro photo when using the telephoto end of the lens. ISO Noise Performance - The ISO range goes from ISO100 to ISO16000, with low noise at ISO100, ISO200, and ISO400 with good levels of detail. At ISO800 the level of detail drops slightly, although noise is still low. Detail drops again at ISO1600, where noise increases. The same can be said of ISO3200 where noise increase, and as a result detail drops. ISO6400 is where there's a more noticeable reduction in fine detail as noise increases again, although results should still be usable. There is quite a big drop in detail at ISO12800 and ISO16000, although colour saturation is still quite good, so results may still be usable if images are resized. 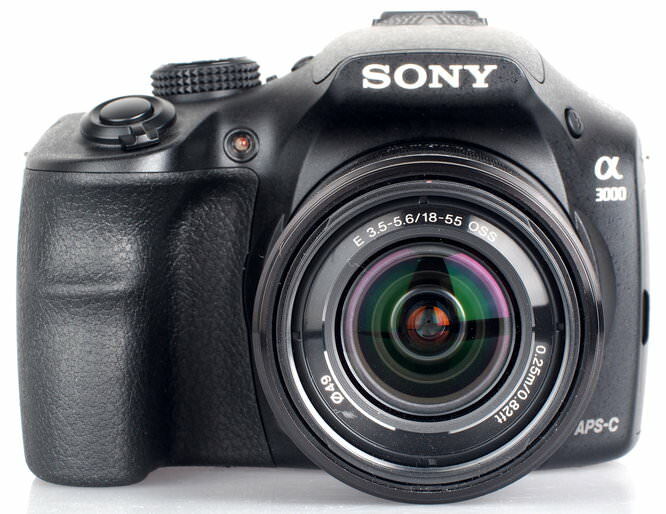 Overall the results are very similar to the Sony Alpha A58. White Balance Performance - Auto White Balance (AWB) gives a slightly warm result under tungsten lighting with the tungsten preset giving a better result. AWB performs well under fluorescent lighting, with the fluorescent preset giving a slightly magenta tone - although there are a number of fluorescent presets to choose from, we preferred the AWB results. Panorama mode - The camera features a panoramic sweep mode where you simply press the shutter release button and pan the camera from one side to the other, with the camera allowing vertical or horizontal panoramas. The resulting photo is quite high resolution with good detail and stitching. To expand dynamic range you can use the HDR (High Dynamic Range) or DRO (Dynamic Range Optimisation) modes, although HDR mode can only be activated when shooting JPEG only. DRO can be used when shooting raw and JPEG. The options can be left as Auto or set from 1 to 5 or 1 to 6 levels for DRO and HDR respectively. Digital Filters - When using the picture effects, the camera records the altered JPEG but does not let you use this feature with raw enabled. There are colour options available which can be customised, letting you set contrast, saturation and sharpness. Video - There is a wind noise reduction option, as well as the option to record videos without sound. The camera records Full HD 1080p video at 25fps, with stereo sound. When used with OSS lenses, videos benefit from optical image stabilisation. The Sony Alpha 3000 is roughly the same size as a compact Digital SLR, such as the Sony Alpha A58, and doesn't give the same compact size benefits as other Digital SLR style mirrorless cameras such as the Panasonic Lumix G5 (which also benefit from smaller m43rds lenses). 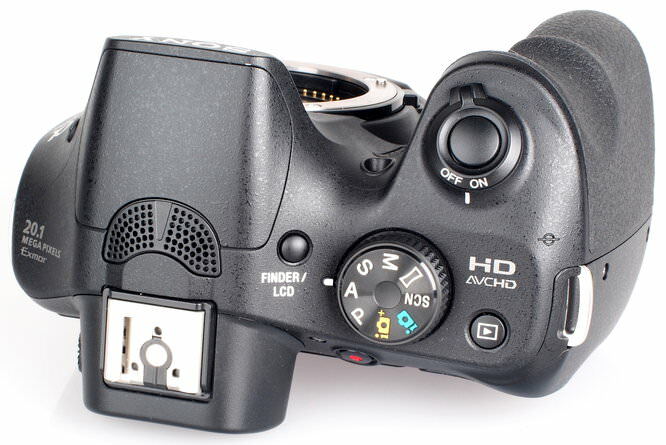 However, what it does offer is the same image quality as a Digital SLR thanks to an APS-C sensor, as well as the large handgrip you would normally find on a Digital SLR. The price is another appealing factor, with almost the lowest price for a Digital SLR style camera, with just the older Nikon D3100 DSLR offering a lower price, as well as a lower resolution sensor. Spend a little more money on the Sony Alpha A58 (with A-Mount), and you get a quicker camera, or the Nikon D3200 and you get a higher resolution sensor. Alternatively if you want the image quality but want a smaller camera there's a good range of other mirrorless cameras to look at, including the compact Sony NEX-3N, or you can have the Panasonic Lumix GF6 with built in Wi-Fi. The Sony Alpha 3000 has a number of advanced features that you wouldn't expect with such an entry level product including Focus peaking, AF fine tuning, an info-lithium battery that keeps you informed as to exactly how much life is left, and full HD video with stereo sound. Although with a low resolution screen, and a disappointing electronic viewfinder, you might quite quickly want to upgrade to another model. For this reason we would recommend trying the camera's viewfinder in person to see if it is something you are comfortable using. The Alpha 3000 also delivers high image quality with bright saturated colours and good levels of detail, with quick focus and shutter response, along with a number of useful features such as the panoramic, HDR and effects modes. If you don't plan to upgrade the camera body, and therefore avoid any Sony Alpha confusion, then the Sony Alpha A3000 could make a very good choice as the "first Digital SLR" even though it's not technically a true Digital SLR. The Sony Alpha 3000 delivers very good image quality, and is available for an excellent price. A really nice piece of kit ! !.....with darned good looking test shots, the ones of Thoresby hall look very clean & detailed.....& good noise control up to iso3200 at least !! It has dedicated buttons for ISO & Exposure Comp., which is all I ever change, so plus point for that. My only grievance is with that low res. rear screen, & appalling EVF resolution !!!! Give it a decent res. screen (900.000 dots min. ? ).....& fit the EVF from the NEX6/7 range, then it would be a cracking little camera !!!!!! look very clean & detailed.....& good noise control up to iso3200 at least !! My only grievance is with that low res. rear screen, & appalling EVF resolution !!!! it would be a cracking little camera !!!!!! Is in-camera correction available for the lens distortion that you mention? Hi, yes there are options for: Lens Comp. : Shading (Vignetting) Lens Comp. : Chro. Aber. Lens Comp. : Distortion The defaults, and settings used for the shots in this review are On, On, and Off. The defaults, and settings used for the shots in this review are On, On, and Off. How does it compare with the Sony DSC-R1 from 2007 10.8Mp? is the screen/viewfinder similar or worse? [quote]How does it compare with the Sony DSC-R1 from 2007 10.8Mp? is the screen/viewfinder similar or worse? [/quote] The viewfinder on the Alpha 3000 is worse. Hope that helps. Quote:How does it compare with the Sony DSC-R1 from 2007 10.8Mp? is the screen/viewfinder similar or worse? The viewfinder on the Alpha 3000 is worse. Hope that helps. I have one of these on which I mount some old nikkor and pentax prime lenses, via glassless adaptors. The results are absolutely stunning - the optics make full use of the excellent sensor. Being manual focus, I use the cameras' edge highlight focus aid, which enables VERY quick manual focussing. My usual SLR's, or perhaps that should be SLT's - I use all Sony these days - are A65's, which utilise the excellent OLED EFV. It would be nice if the A3000 sported one of these also, but the focus aid is very good, being a spin off from Sony's pro video cameras. I have this camera - shutdown was very fast but After turning it off LCD for 5 seconds, there is little light Then turns off, this is normal ??? ?